The inescapable law of kamma guarantees that each and every one of our actions — whether it be of body, speech, or mind — has consequences in line with the skillfulness or unskillfulness of that action. We can often witness this process first-hand in our own lives, even if the effects may not be immediately apparent. 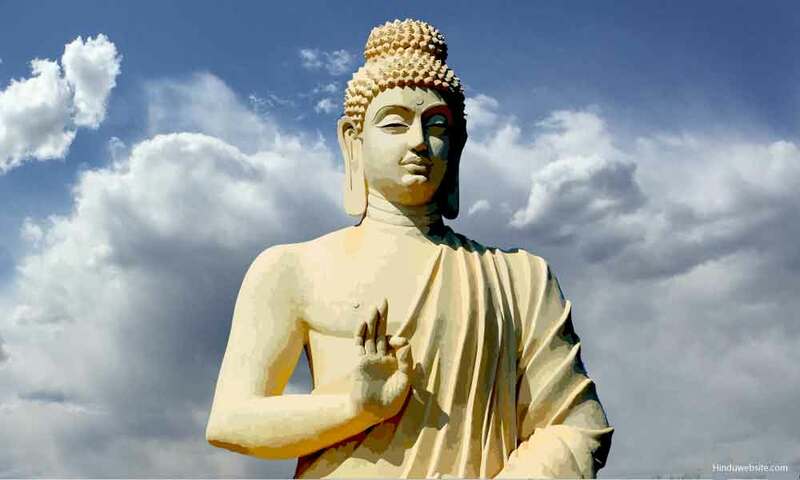 But the Buddha also taught that our actions have effects that extend far beyond our present life, determining the quality of rebirth we can expect after death: act in wholesome, skillful ways and you are destined for a favorable rebirth; act in unwholesome, unskillful ways and an unpleasant rebirth awaits. Thus we coast for aeons through samsara, propelled from one birth to the next by the quality of our choices and our actions. The suttas describe thirty-one distinct "planes" or "realms" of existence into which beings can be reborn during this long wandering through samsara. These range from the extraordinarily dark, grim, and painful hell realms all the way up to the most sublime, refined, and exquisitely blissful heaven realms. Existence in every realm is impermanent; in Buddhist cosmology there is no eternal heaven or hell. Beings are born into a particular realm according to both their past kamma and their kamma at the moment of death. When the kammic force that propelled them to that realm is finally exhausted, they pass away, taking rebirth once again elsewhere according to their kamma. And so the wearisome cycle continues. The Fine-Material World (rupa-loka). Consists of sixteen realms whose inhabitants (the devas) experience extremely refined degrees of mental pleasure. These realms are accessible to those who have attained at least some level of Jhana and who have thereby managed to (temporarily) suppress hatred and ill-will. They are said to possess extremely refined bodies of pure light. The highest of these realms, the Pure Abodes, are accessible only to those who have attained to "nonreturning," the third stage of Awakening. The Fine-Material World and the Immaterial World together constitute the "heavens" (sagga). It is pointless to debate whether these realms are real or simply fanciful metaphors that describe the various mind-states we might experience in this lifetime. The real message of this cosmology is this: unless we take steps to break free of the iron grip of kamma, we are doomed to wander aimlessly from one state to another, with true peace and satisfaction forever out of reach. The Buddha's revolutionary discovery came in finding that there is a way to break free: the Noble Eightfold Path, which equips us with precisely the tools we need to escape from this wearisome wandering, once and for all, to a true and unshakeable freedom. (22)Unconscious beings (asaññasatta) Only body is present; no mind. (21)Very Fruitful devas (vehapphala deva) Beings in these planes enjoy varying degrees of jhanic bliss. (10)Devas Delighting in Creation (nimmanarati deva) These devas delight in the sense objects of their own creation. (9)Contented devas (tusita deva) A realm of pure delight and gaiety. Bodhisattas abide here prior to their final human birth. This is where the bodhisatta Maitreya (Metteya), the next Buddha, is said to dwell. (8)Yama devas (yama deva) These devas live in the air, free of all difficulties. (7)The Thirty-three Gods (tavatimsa deva) Sakka, a devotee of the Buddha, presides over this realm. Many devas dwelling here live in mansions in the air. (6)Devas of the Four Great Kings (catumaharajika deva) Home of the gandhabbas, the celestial musicians, and the yakkhas, tree spirits of varying degrees of ethical purity. The latter are analogous to the goblins, trolls, and fairies of Western fairy tales. ° The attainment of stream-entry (sotapatti) guarantees that all future rebirths will be in the human or higher realms. Source: Reproduced and reformatted from Insight.Access to Insight edition © 2005 For free distribution. This work may be republished, reformatted, reprinted, and redistributed in any medium. It is the author's wish, however, that any such republication and redistribution be made available to the public on a free and unrestricted basis and that translations and other derivative works be clearly marked as such.